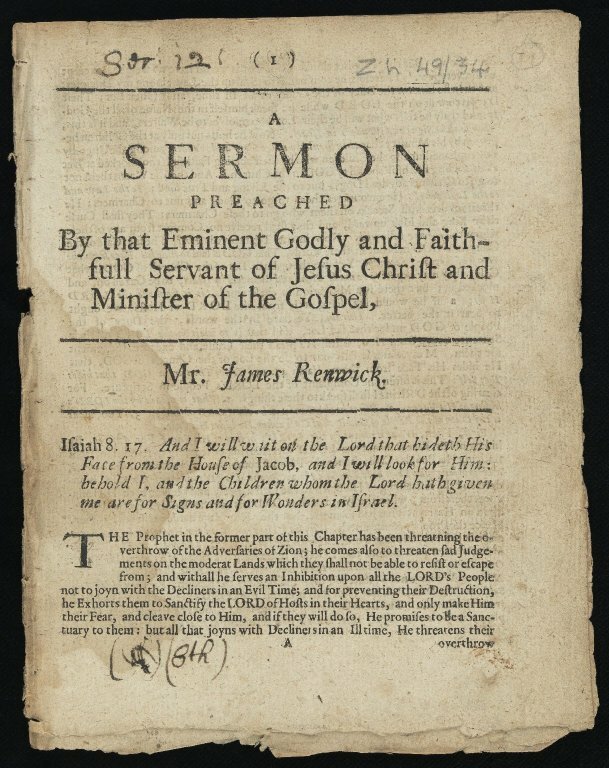 February was a suitable month to remember James Renwick (15 February 1662 – 17 February 1688). Renwick was a graduate of Edinburgh University who accepted a call to the ministry within the independent Presbyterian church ‘societies’. These communities were formed by the Covenanters, so named because they bound themselves in ‘covenants’ to maintain the Presbyterian doctrine as the sole form of religion in Scotland. They rejected the attempts of the Crown to control church government and patronage in Scotland. Renwick’s short career included illegal field preaching, baptizing, and eluding capture by the authorities. 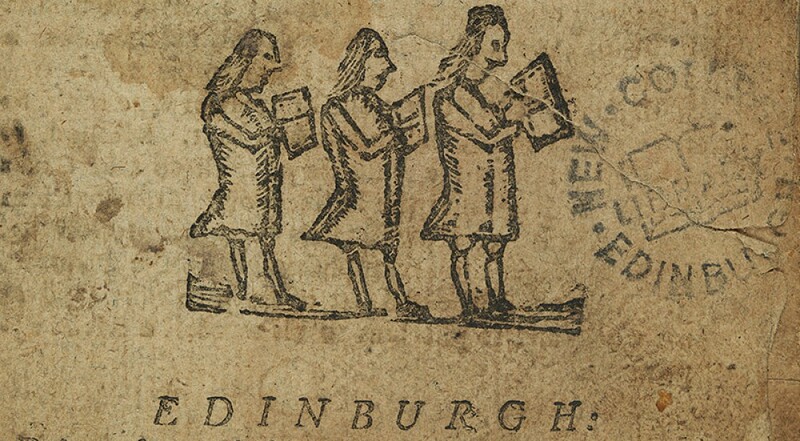 His sermons and letter were published as tracts and pamphlets, some of which are preserved in New College Library’s Pamphlets Collection. 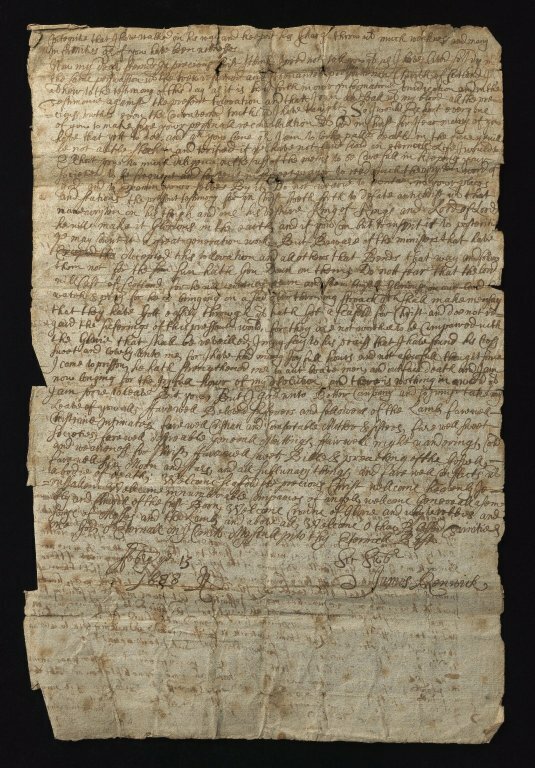 James Renwick’s Letter of testimony will be on display at the Centre for Research Collections, University of Edinburgh April-July 2016, as part of the ‘Given in Good Faith’ exhibition.